TeacherEase supports the transition to standards-based learning. Unpack standards and write learning targets. Break down state standards, common core, etc into individually teachable concepts. Targets are often written as "I can ..." statements. Understandable language helps students engage in learning, take ownership of progress, and accept feedback. Educators can learn by browsing other districts' learning targets. Committees cooperatively build a foundation for instruction and assessment. Committees collaborate to build targets, rubrics, assessments, instruction, etc. For each course, define the skills students should learn. These are typically written as "I can ..." statements using language understandable to students. Standards are often big and complex. 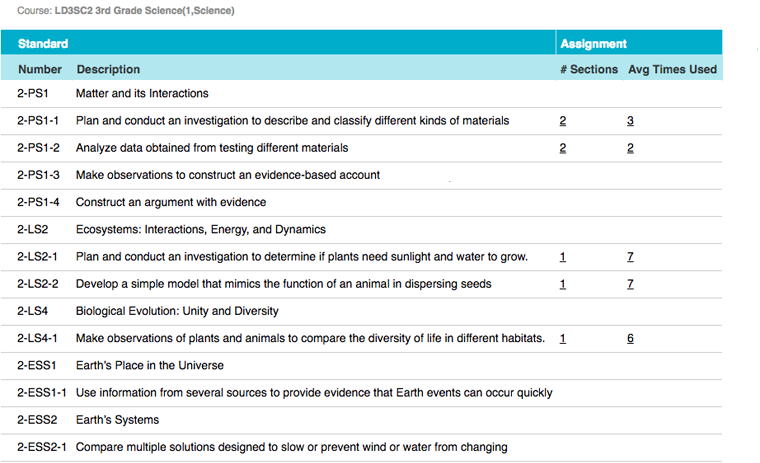 Create smaller learning targets that can be individually instructed by unpacking standards. This makes standards operational in the classroom. Writing learning targets has professional development value. It helps teachers think deeply about how students learn. This experience often results in better instruction and assessment. 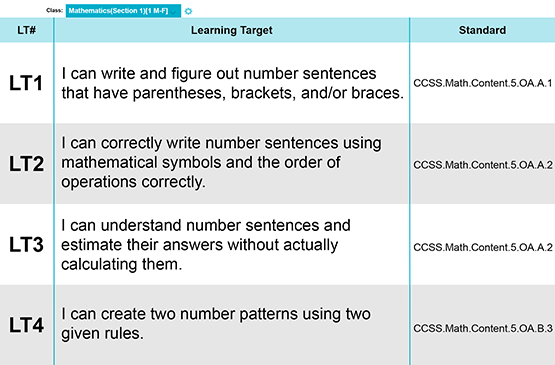 Teachers can learn by viewing other districts' learning targets. See how other educators unpack the same standards and build targets. Cross-pollination helps teachers develop professionally. As teachers browse targets, they can also copy them. Benefit from others’ experience and get started quickly. Transitioning to standards-based learning is often a team effort. TeacherEase provides a platform for committees to work together and optimize targets for the entire organization. After writing learning targets, educators and committees can continue onto rubrics, assessments, instructional content, etc. The learning targets are just the first step, and can be expanded upon. By writing understandable learning targets, students have a framework to process feedback, engage in learning, and take ownership. When students understand the targets, it provides a framework to receive feedback. Educators can have richer conversations with students about their knowledge and areas of improvement. Thoughtfully write learning targets within and across grade levels to construct coherent curriculum that builds upon previously mastered topics. Eliminate unnecessary repetition that wastes instruction time. Find gaps that lead to confusion and incomplete cognitive scaffolds.